Many western Alaskans agree that October can feel like the coldest month. After enjoying the +40’s and +50’s of the brief summer, October’s highs barely crack freezing and it’s a tough adjustment. There’s a very bright spot this month. On October 20th, KNOM general manager Ric Schmidt will accept KNOM’s 14th Gabriel Radio Station of the Year Award in Los Angeles. We are the only small radio station, and the only Catholic station, to be given this prestigious honor. Ric will honor our benefactors as equal partners with our staff. Thank you so very much for making our work in remote western Alaska possible! CAN YOU DIG IT? 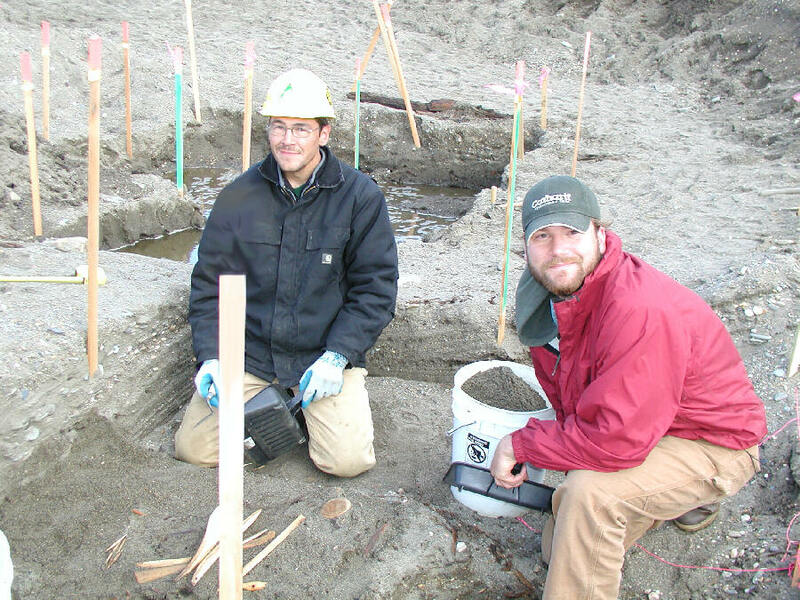 (left) From left, tribal specialist Karlin Itchaok (ITCH-ahk) and archae-ologist Aaron Wilson carefully sift through sand at the site of an ancient Eskimo house pit found near the center of Nome. Volunteers on the dig included KNOM news director Paul Korchin, production director Emily Barrett and public affairs director Amy Flaherty. 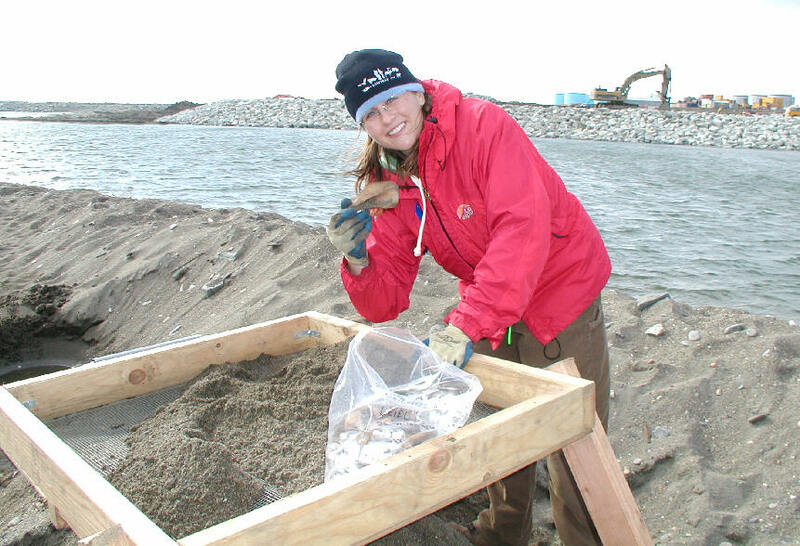 (Left) Amy finds a seal shoulder bone. "It was like going through an old Eskimo family's trash pile--all the bones from their subsistence diet!" Amy says. Her best find was a seal tooth. Over 200 artifacts were found, including a spoon made of bone, ivory harpoon tips, a doll carved from fossilized ivory and one of wood, skin scrapers made of caribou antlers, an intact pottery cup, fishing net sinkers, fishing spears, ivory fishing lures, needles and tools, plus hundreds of seal and walrus bones. Was it a permanent home or a camp? Nobody knows. How old is it? According to Karlin, older than 250 years, possibly 2,000. Carbon dating results are due in about a month. Karlin is the son of KNOM’s first volunteer, Noralee Irvin Itchoak, who in 1966 became the radio project’s first volunteer, working in Nome and donating her entire salary toward the future Catholic station, which signed on the air five years later. KNOM is the oldest Catholic radio station in the United States, powerful and strong thanks to you. INSPIRATIONAL SPOT: There is no way to undo sin. But sin can be forgiven. In this age of machines, we’re liable to forget how much can be accomplished only with our hands. Caress a child. Pick a flower. Comfort someone in sorrow. Brush away a tear. Hold another’s hands. Our hands are capable of so much good. THE VILLAGE OF ST. MARYS: (left) It’s the location for KNOM’s first translator. Home to about 570 souls, most of them Yup’ik Eskimo, the village formed around a Catholic school established by the Jesuit fathers and Ursuline sisters in 1951. It’s located on the Andreafsky River, visible at right, a few miles upriver from the mighty Yukon River, 180 miles southeast of Nome. Increasing use of electric appliances has created static that makes listening to KNOM difficult in many parts of the village — until installation of the translator last month. GETTING UP THERE: (left) KNOM spiritual director Fr. 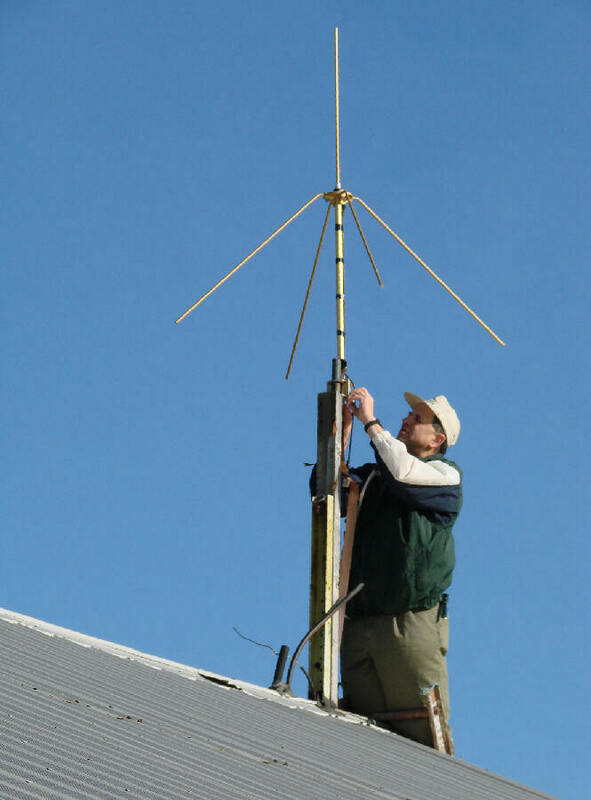 Mark Hoelsken, SJ, tightens the antenna for KNOM’s first translator transmitter, on the roof of Church of Nativity parish in the village of St. Marys. Financial officer Tom Busch was also in the village for the project. KNOM received permits for eleven village translators two years ago, but discovered that distributing its signal to villages would cost an astronomical amount, about $10,000 per village per year. St. Marys is one of the few towns slated for translators that can receive KNOM’s AM signal well in a few spots, such as the church. Eventually, we hope to feed our audio to these transmitters via the Internet. Unfortunately, Internet service in most of these little isolated villages frequently grinds to a halt. (Left) The translator is nothing more than a sensitive AM radio feeding a small FM transmitter. It’s inside a box made of used plywood. The radio is evident at the right, and the transmitter is at left. Its output is 6.3 Watts, enough to well cover the village, and then some. We owe a big thank you to Jack Mullaney of Mullaney Engineering, Inc. and lawyers Ken Satten and Patty Chuh of Wilkinson Barker Knauer LLP for contributing their word free of charge. Please consider adding KNOM to your will. All bequests are prayerfully saved for emergencies and major improvements. A bible in the hand is worth two on the shelf. GOOD CLEAN FUN: (left) There actually is a regulation bathtub in there somewhere, behind the "stealth" snout of the wheeled contraption built by engineer Les Brown several years ago. 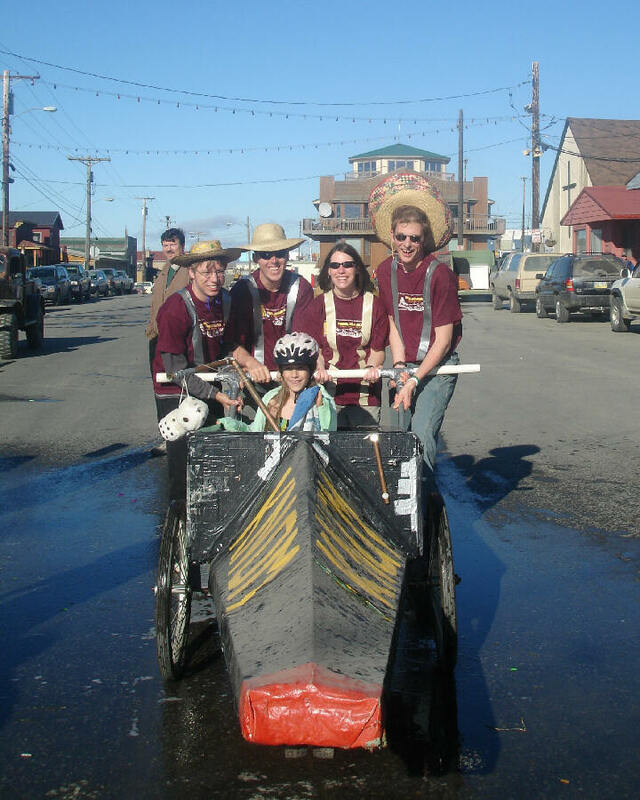 It's KNOM's entry in Nome's annual Labor Day Bathtub Race, from left, Ross Reilly, Dave Dodman, Emily Barrett and Jesse Zink. Captaining the team, wisely helmeted, is young Rosa Schmidt, daughter of KNOM's Ric and Lynette Schmidt. Holding to the KNOM team's tradition in this event, they captured last place. THE COUNT: Since January 1, KNOM has broadcast approximately 28,000 inspirational spots, as well as 28,000 educational ones, sprinkled among our various programs, like commercials. They are an especially effective way of keeping spiritual thoughts foremost among our many listeners, as they are entertained and informed by the programs that contain them. 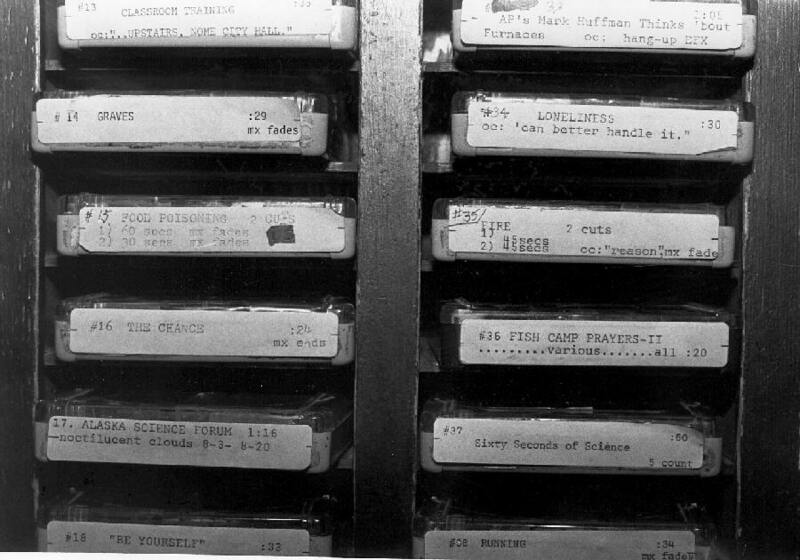 (Left) Until 1993, when KNOM computerized, all spots were on tape cartridges, like these in 1982. ONE MILLION: There’s no precise record, and we could be off by a month or more. But our best guess is that on October 18th, KNOM will broadcast its 1,000,000th inspirational spot, as well as its 1,000,000th educational spot. Whether you have been with us since before our first broadcast July 14, 1971, or just learned about us last week, we pray that Our Heavenly Father rewards you abundantly for supporting this work with your financial help and your prayers. KA-BOOM! Rumors hit the KNOM newsroom early on, and news director Paul Korchin finally tracked them down. In early September, a “huge white glowing ball of light,” as one witness described it, flew overhead the village of Kwethluk (KWEETH-luk), 289 miles south of Nome. After it passed, showering sparks, there was a tremendous explosion. Some experts suggested that it was a meteor. Others figured it might be space debris returning to earth. It made a “big splash” in the village, and it may have made a big splash elsewhere, too, as the village is surrounded by miles of swamp, rivers and lakes. INSPIRATIONAL SPOT: Only God has the absolute right to private property. The rest of us just have it on loan. WELCOME! (left) Meet Dave Dodman, KNOM’s newest volunteer. A graduate of Harvard University with a degree in music, Dave hails from Rahway, New Jersey. As inspirational director, Dave is responsible for creating and maintaining KNOM’s inspirational spots. He also announces during the late afternoon and early evening. What caught Dave by surprise? “One thing I didn’t think of,” he says, “is that Nome has no trees. I’ve never been in a place like this. And the remoteness.” When he’s not working, Dave enjoys photography and creative writing such as poetry and fiction.Welcome, Dave! FORTY YEARS AGO: In October 1966, a handful of donations reach Nome in response to about a hundred copies of Nome Static Transmission One, which had been mailed the previous month. 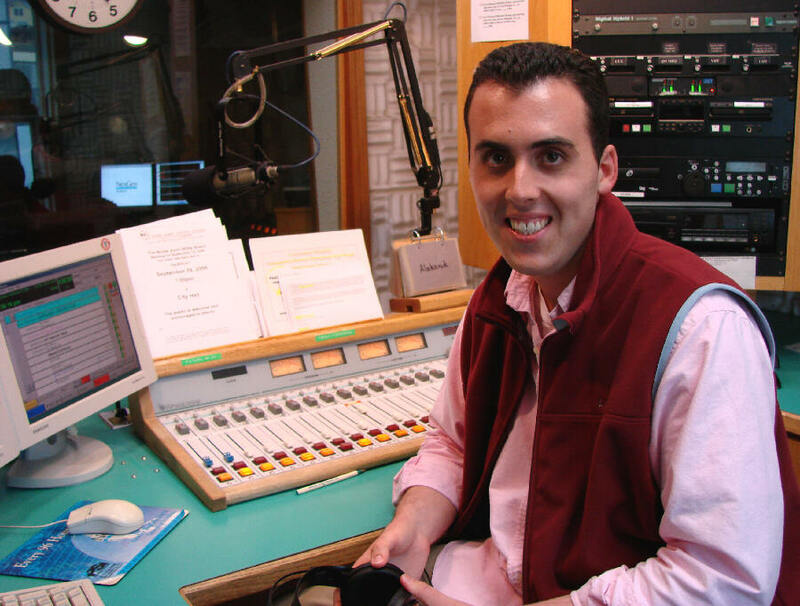 The Catholic station’s first broadcast is almost five years in the future. THIRTY YEARS AGO: It’s been months in the works. In October 1976, KNOM completes its “Word of the Day,” with the recording of the 365th educational spot of the series. Each spot is a “Rosetta Stone” of the north, featuring a single word in the English, Yup’ik (YOO-pik), Inupiat (in-OO-pee-at) and Siberian Yupik Eskimo languages. WE HOPE NOT: Heating and diesel fuel are the only sources of heat and electricity in most of our treeless coverage area. There are rumblings in the fuel industry that the last delivery of these before the ocean freezes may retail for $7 a gallon. As we’ve reported to you recently, the cost of running our 25,000 Watt transmitter is spiraling upward at an alarming rate. YOU ARE OUR STRENGTH. 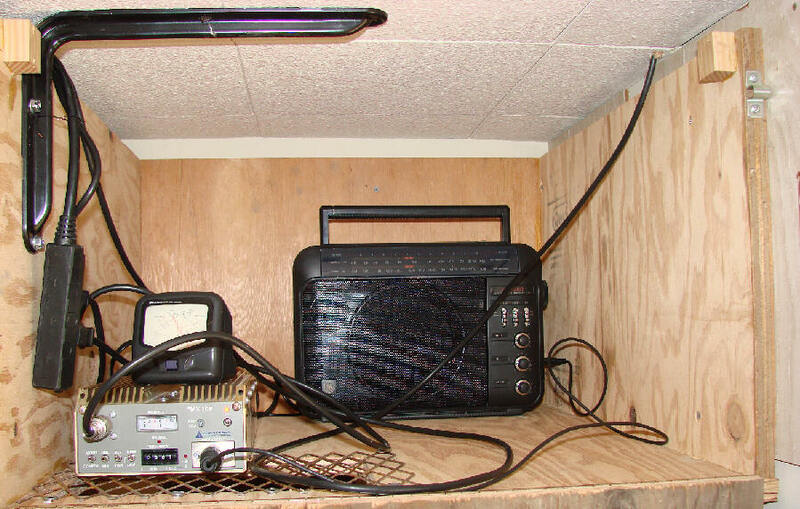 Without you, this vital radio mission, more than 500 miles from the nearest highway, would cease to exist. Thank you so very much. We continue to pray for you and for those you love. May God bless you, strengthen you and keep you in His Arms.